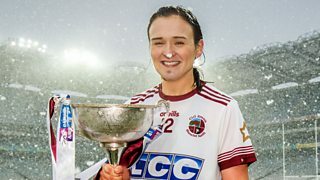 Slaughtneil joint-captain Siobhan Bradley says the motivation to win just keeps on growing after a third successive All-Ireland Senior Club Camogie title. The Derry outfit ran out 1-9 to 0-7 winners against Wexford side St. Martin's in a one-sided final at Croke Park. The win means Sluaghtneil become the first Ulster side to win three All-Ireland club titles in a row.